Dawn Equipment recently unveiled new products for planters and drills for spring 2015 during a live broadcast, which can be viewed here. Among the highlights that Dawn showcased is a down-pressure system for John Deere 60 and 90 Series drills, a floating row cleaner that uses air down pressure, and a fluid coupling down-pressure sensor for John Deere planters. 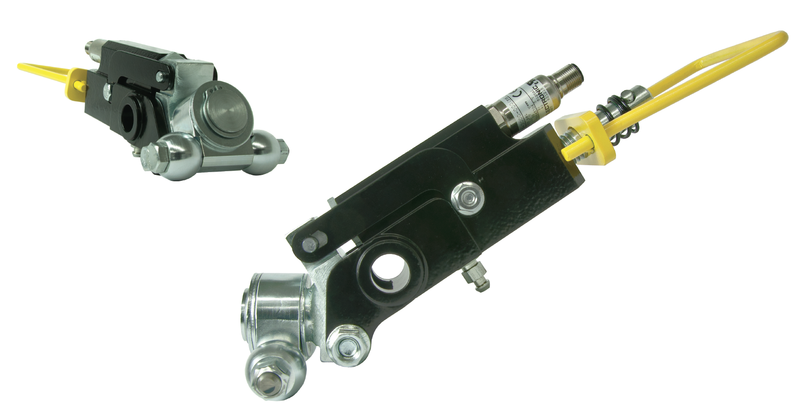 The X-Sense Fluid Coupling Down Pressure Sensor is a direct replacement for the standard depth-adjustment mechanism on late model John Deere planters. According to Dawn, this sensor is the first rolling row-crop device that treats the gauge-wheel system as a true suspension similar to an automobile. The sensor works by isolating the down-pressure sensor from mechanical vibration and noise, which are byproducts of the gauge wheel arm mechanism. When the vibration and noise are eliminated, the computer control system can make more accurate adjustments directly connected to field conditions. The sensor also detects the true gauge-wheel load — even if the gauge wheels are oscillating up and down. The goal of automatic down pressure, says Dawn Equipment Co. president Joe Bassett, is to run the lowest possible gauge wheel load while, at the same, never planting shallow. Bassett says that as gauge-wheel loads become lower, there’s more up-and-down oscillation present in the gauge wheel equalizer mechanism. The new sensor includes an “amplifier and signal condition” to eliminate signal degradation that can happen with load-cell type systems, Basset says. The rollers contact the gauge wheel arm instead of a static equalizer piece to eliminate sliding friction between the arm and the sensor assembly. 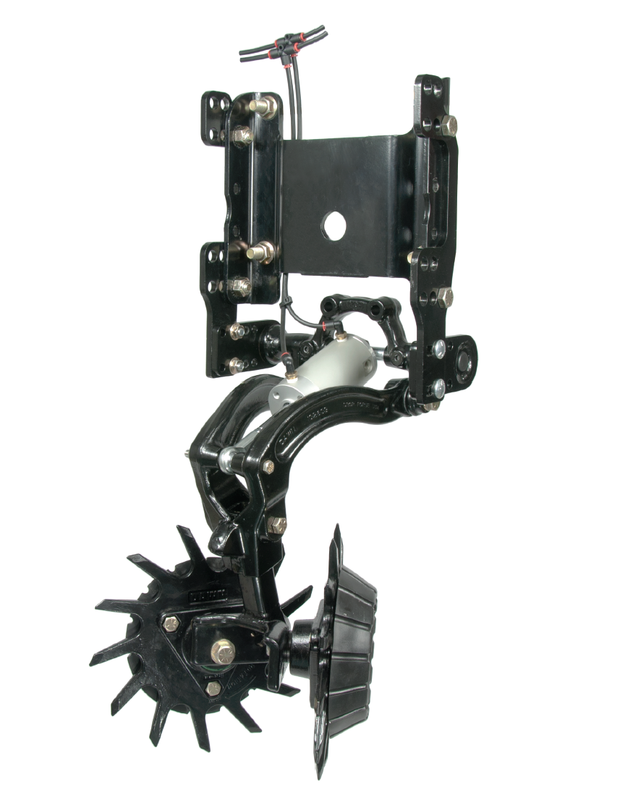 The technology also allows the planter down force to be minimized as speeds increase to 10 mph. This new sensor — to be available in limited release for spring 2015 — can be retrofitted to existing Dawn RFX down pressure systems at a later date. Using the same RFX+ modular hydraulic actuator used on planters, Dawn has launched the RFX-D for Deere 60 and 90 Series drills. Bassett says the system can help growers looking to advance the uniformity of stands. Because drills are used to plant shallower crops — often in no-till conditions — automatic depth control can have a high return on investment because the margin for error is smaller. Growers tend to over-apply down pressure because if they’re planting an inch deep, and the seed could easily end up on top of the ground, he says. But too much down pressure can inhibit plant growth. 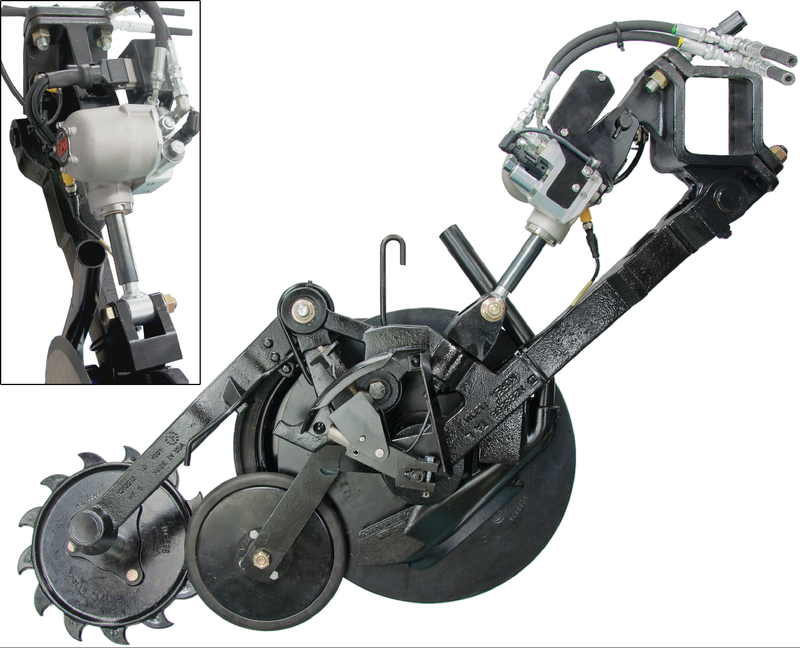 The RFX-D can be used for individual row control or in sections up to four rows to reduce costs on larger drills. It uses the same controller and Deere load sensor used on planters, and the system will maintain the same down force, whether the opener is at the top or bottom of its range of motion, Bassett says. An integrated accumulator allows rows to float independently and reduce hydraulic power consumption at the same time. RFX-D also integrates a limit switch to turn pressure off when the drill is out of the ground, he says. A manual override fail-safe system is also integrated and the Dawn MiFX iPad app allows for control and ground hardness mapping. RFX-D will be available in limited quantities for spring 2015. A pneumatic alternative to the GFX Hydraulic row cleaner, the GFX-P Air Down Pressure controller is a simple low-cost air pressure controller that generates the same down force and uses the same frame-mounted trailing arm geometry as the Dawn Hydraulic GFX row cleaner. If growers already have Precision Planting’s Clean Sweep pneumatic cylinder, they can place that in the GFX Frame-Mounted Floating Row Cleaner, or they can use Dawn’s heavy duty Air Cylinder. Growers will also have the option of putting on their current row cleaner wheels and hubs on the GFX frame.